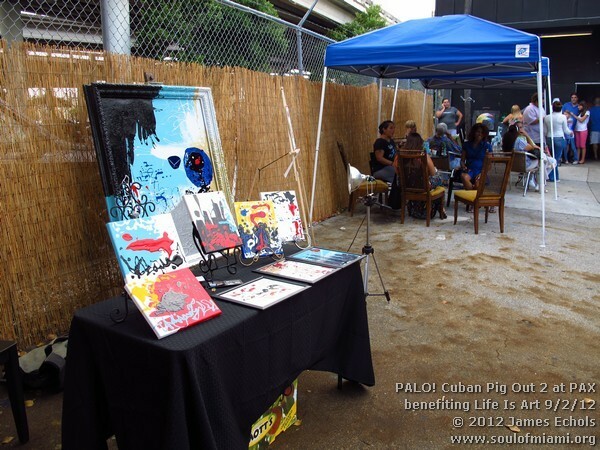 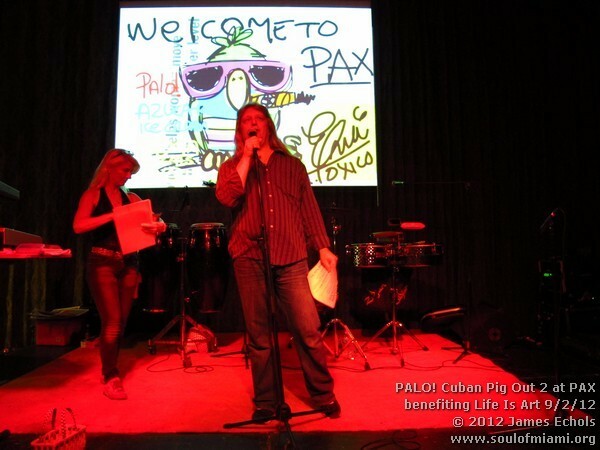 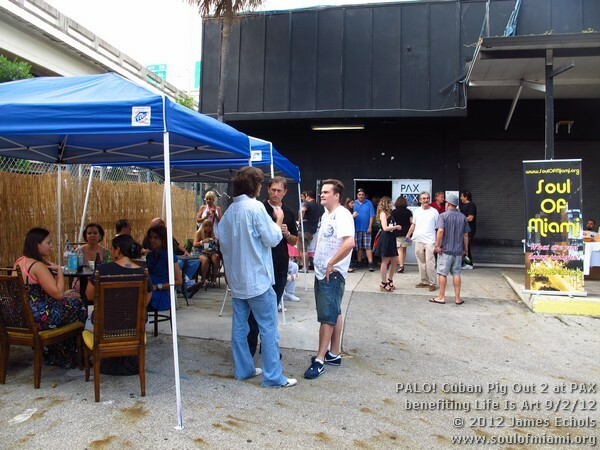 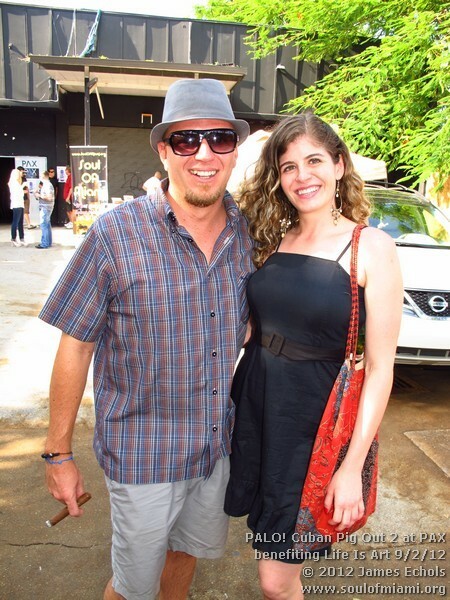 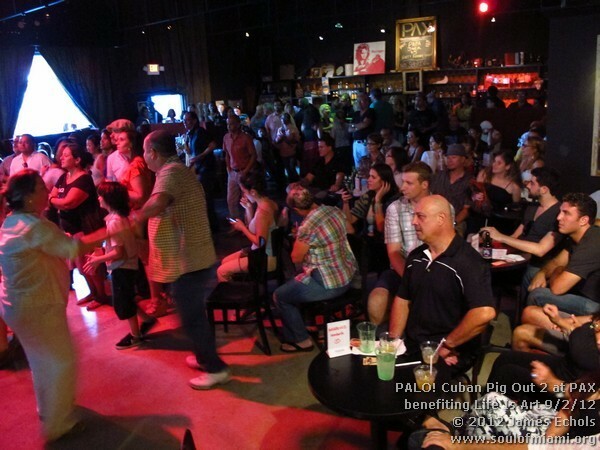 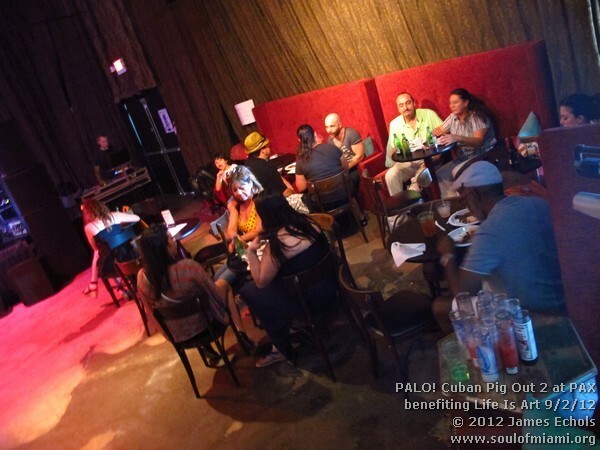 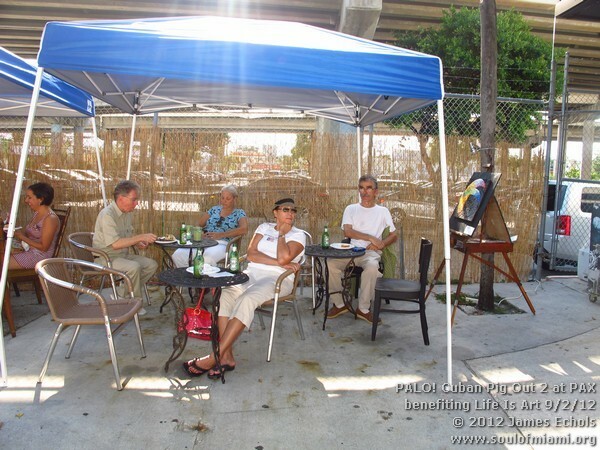 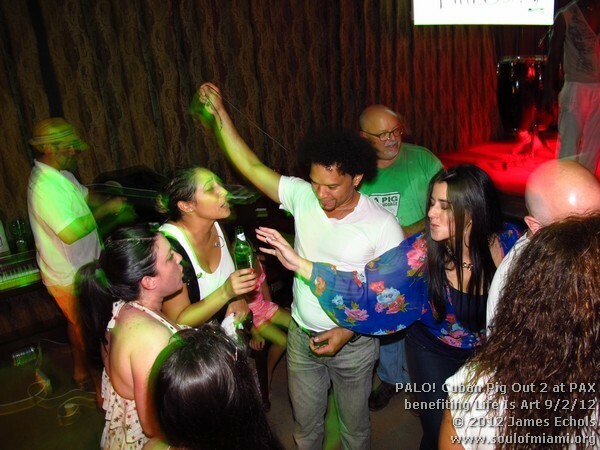 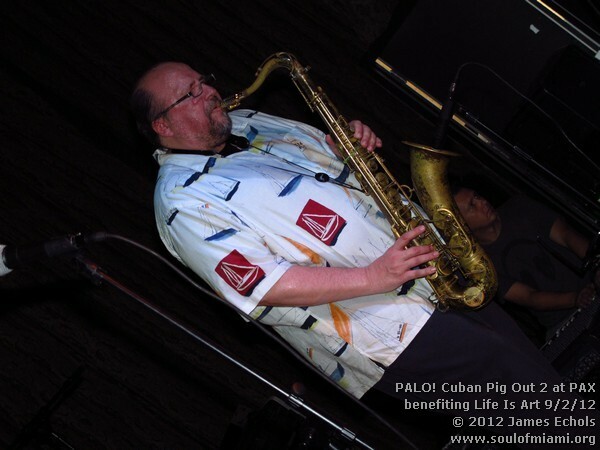 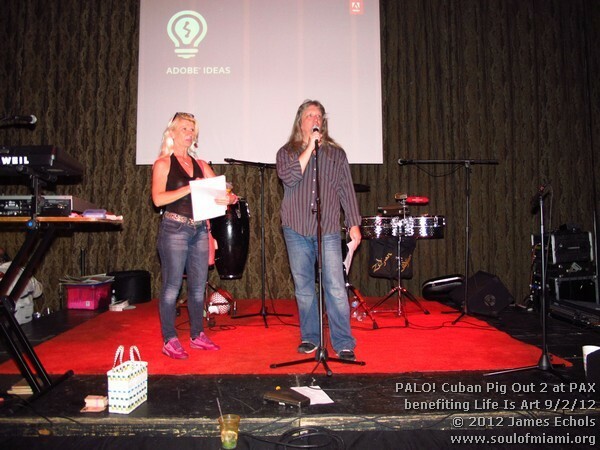 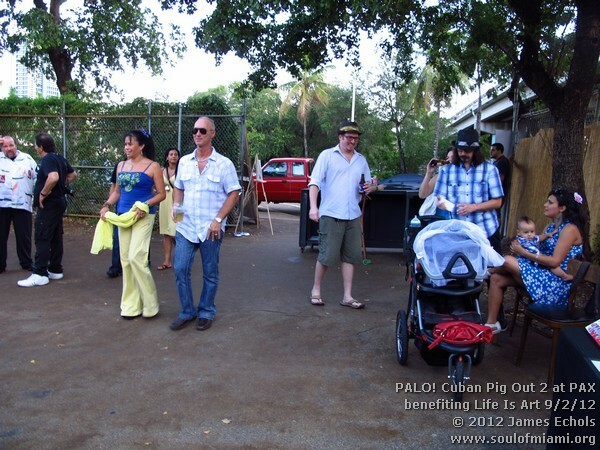 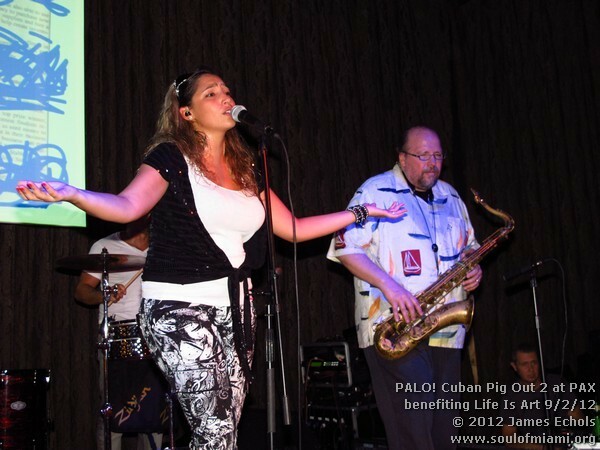 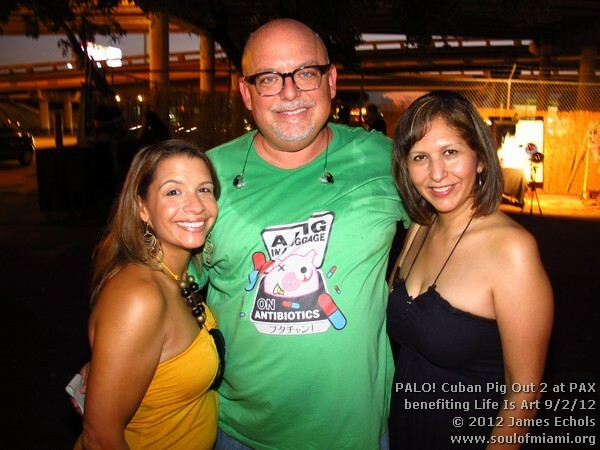 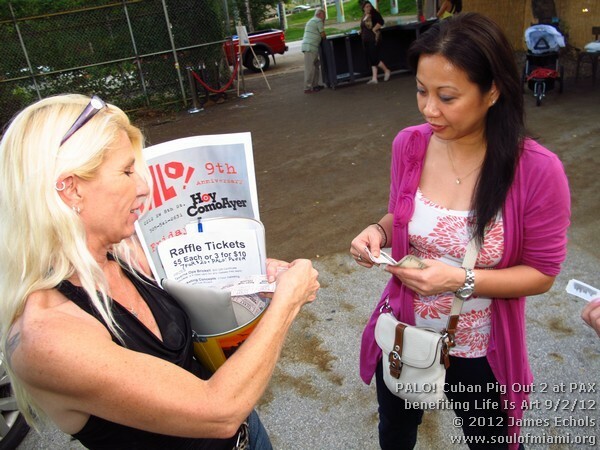 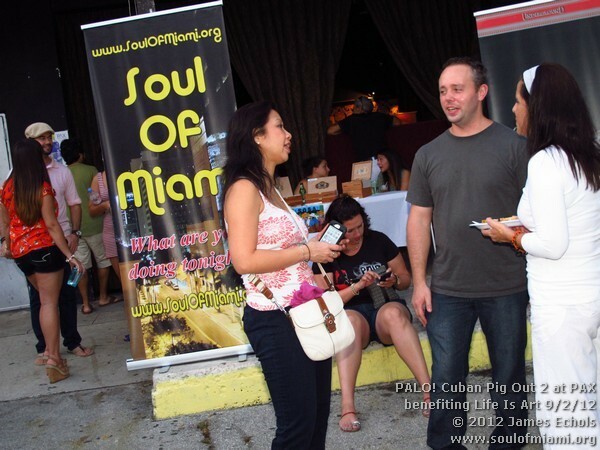 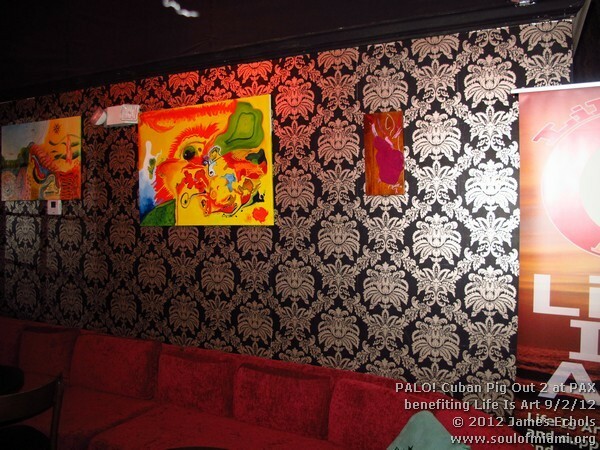 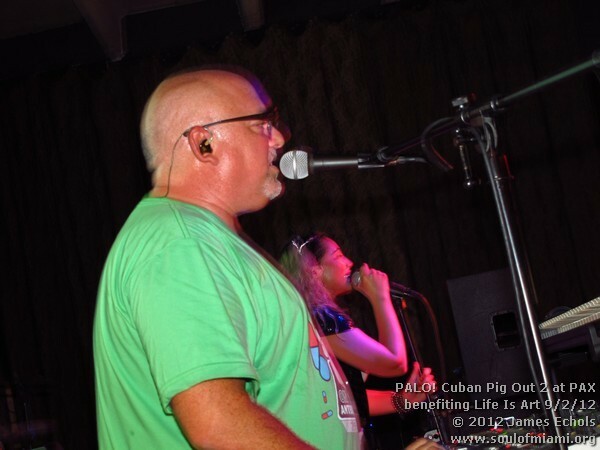 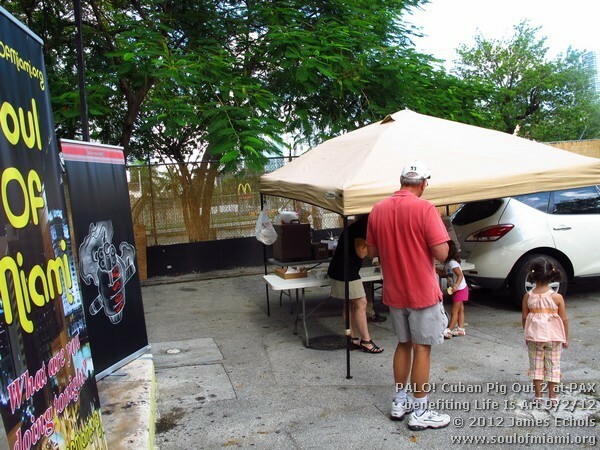 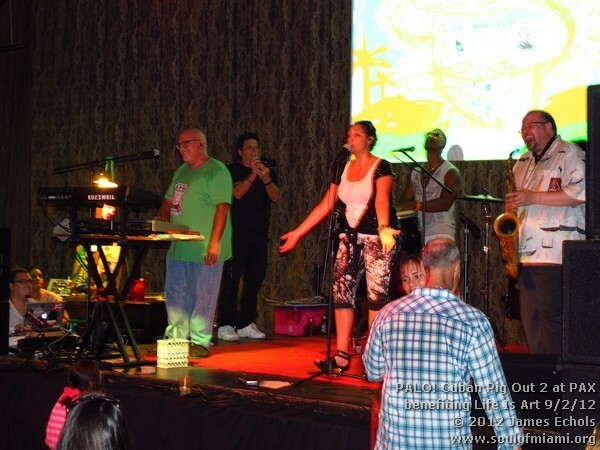 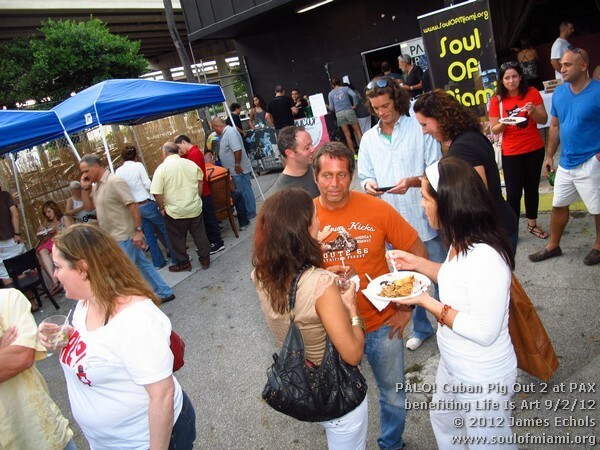 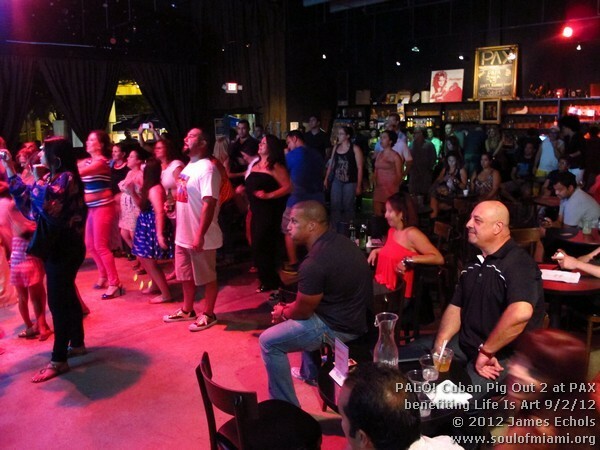 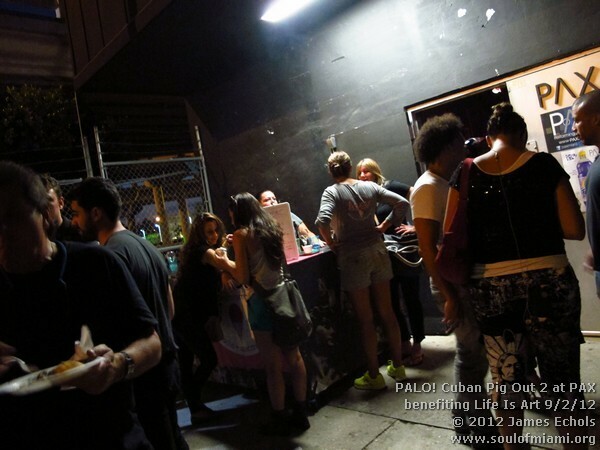 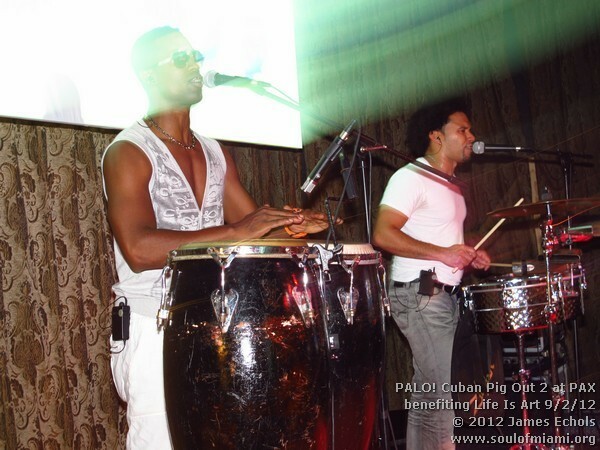 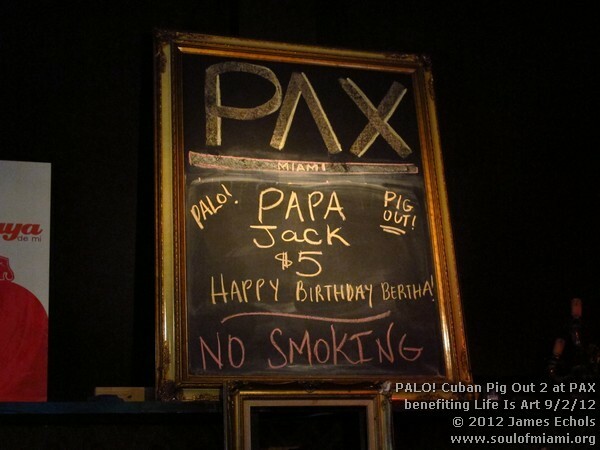 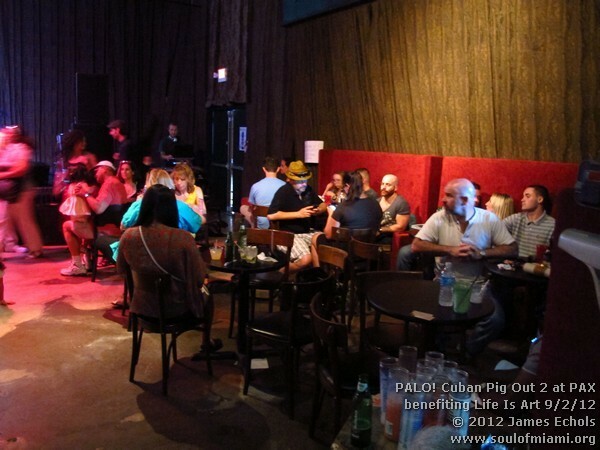 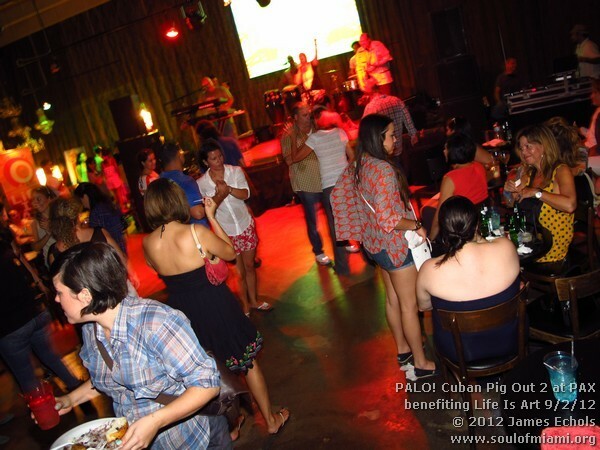 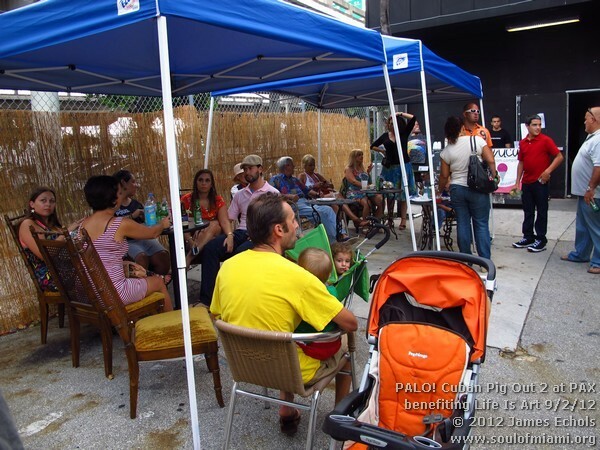 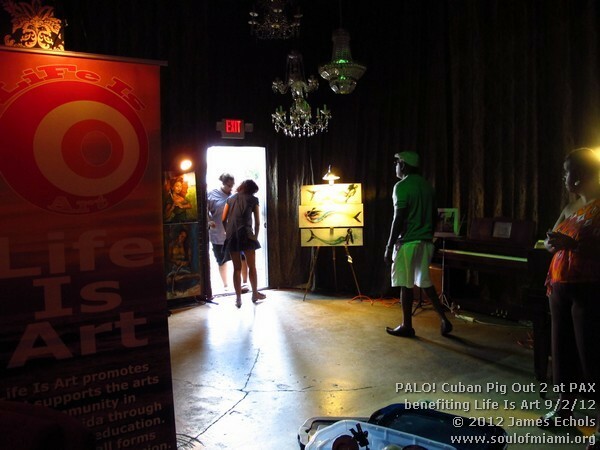 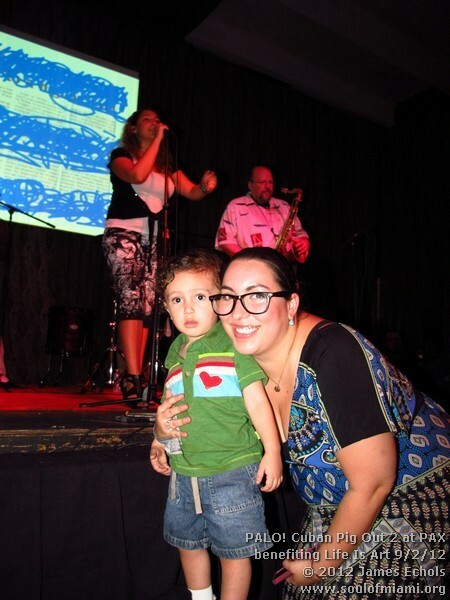 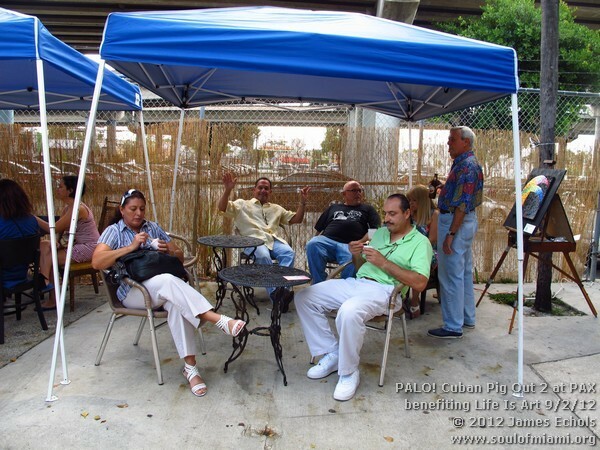 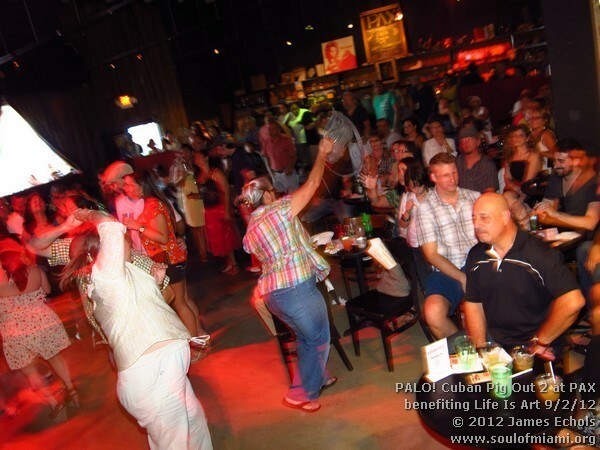 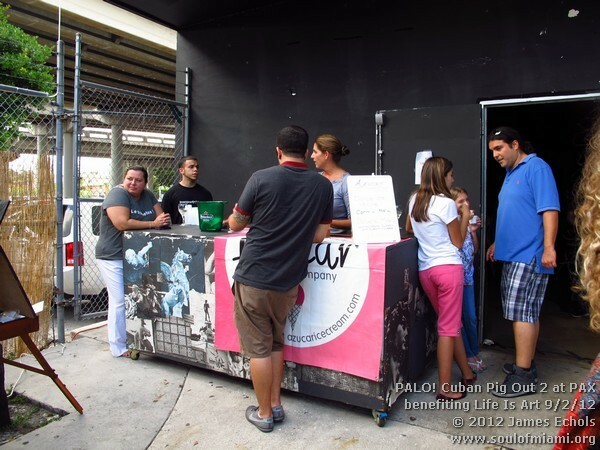 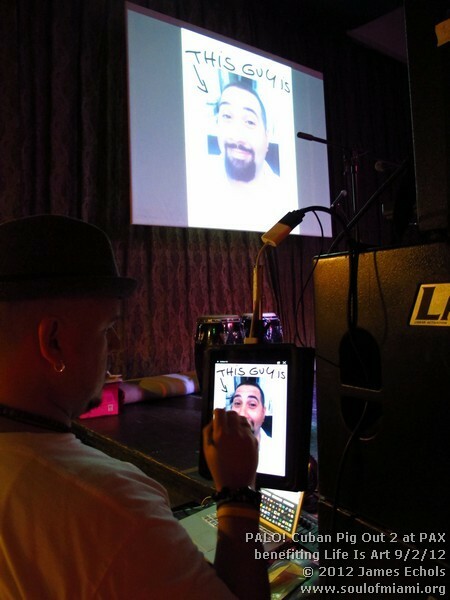 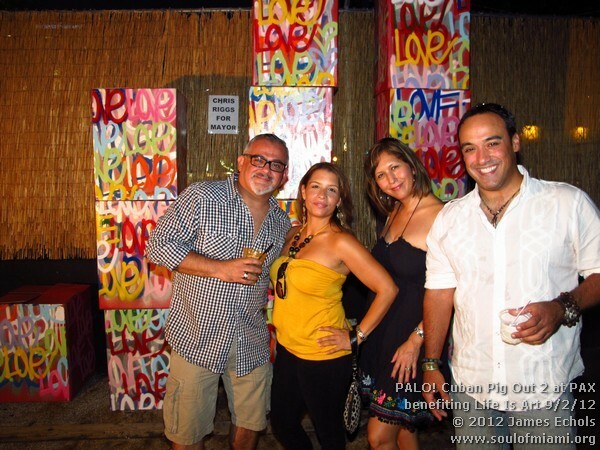 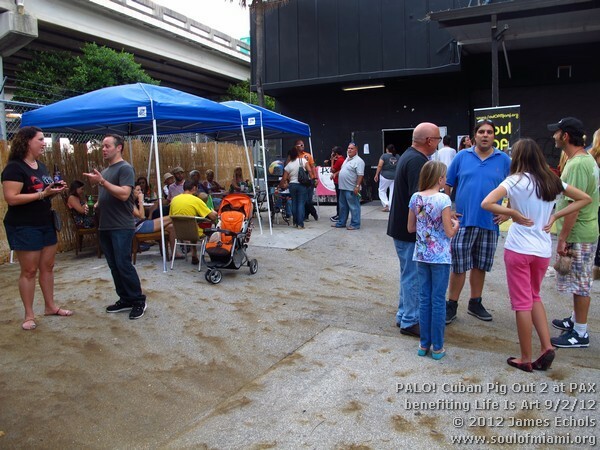 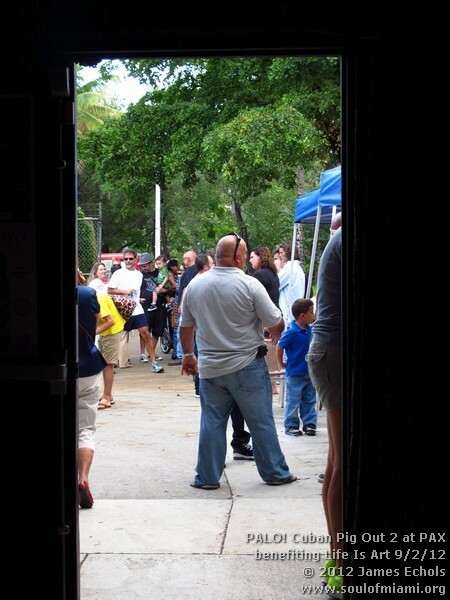 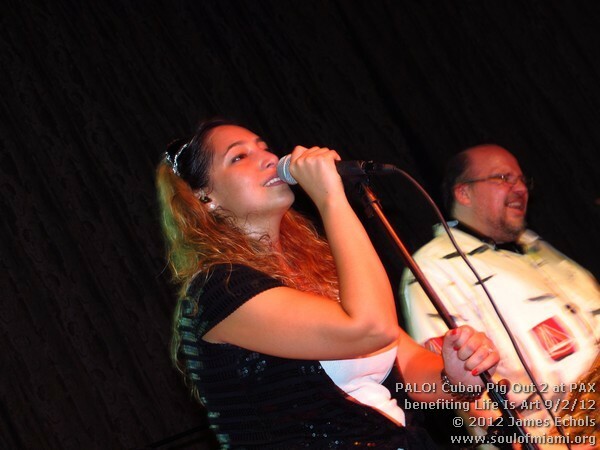 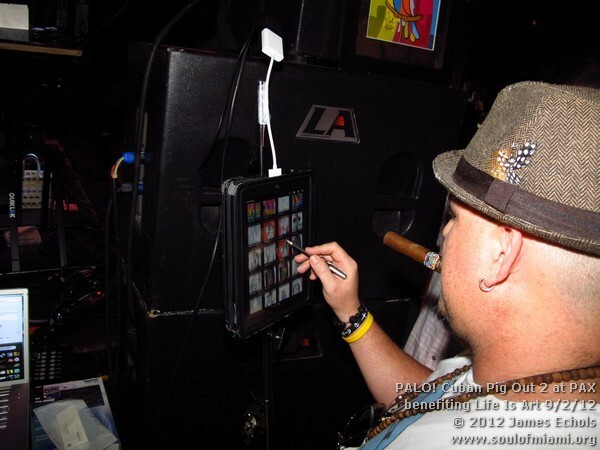 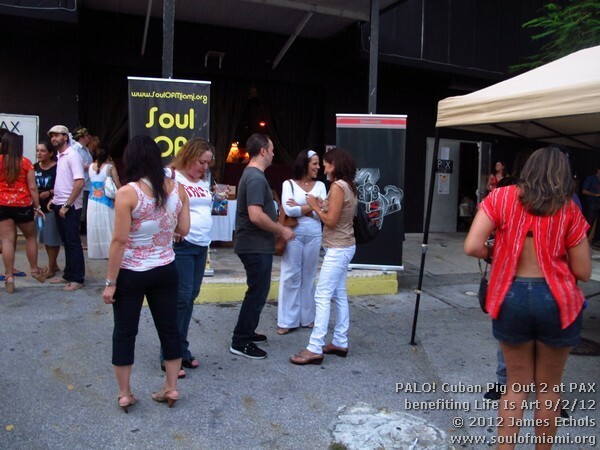 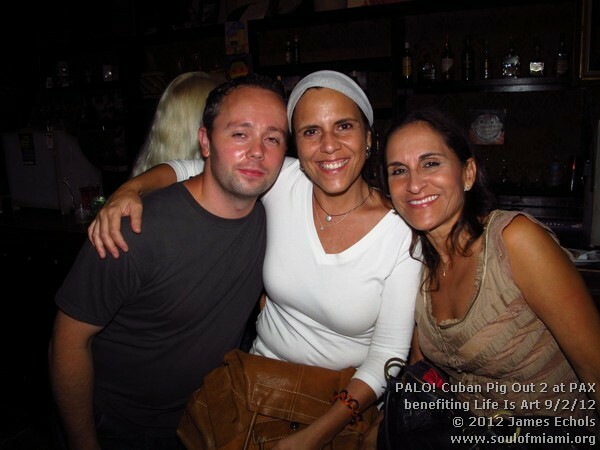 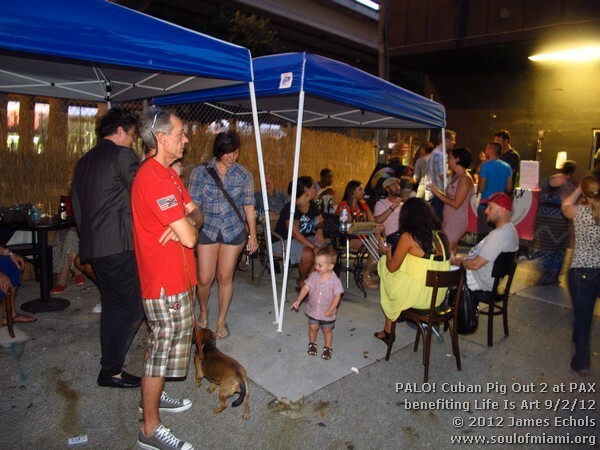 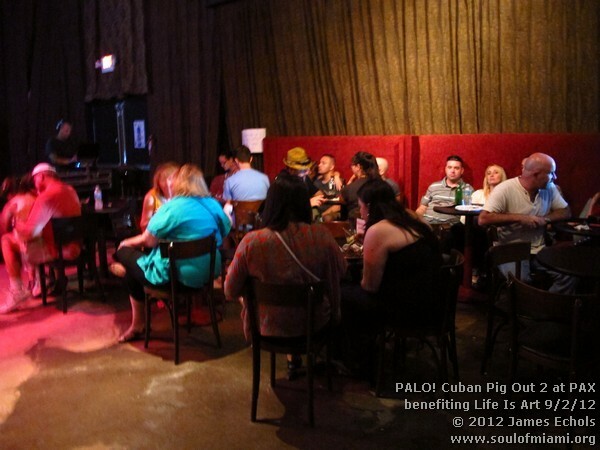 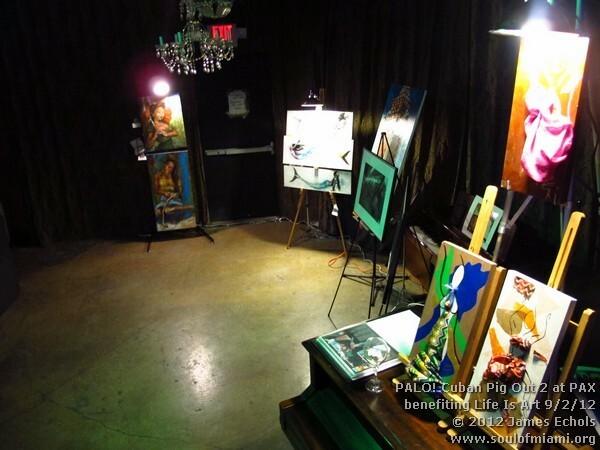 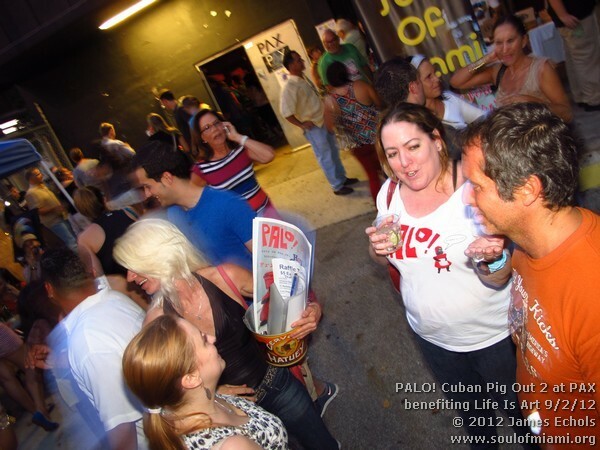 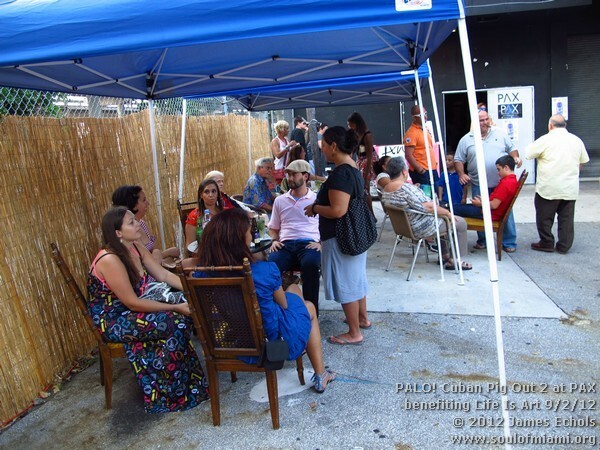 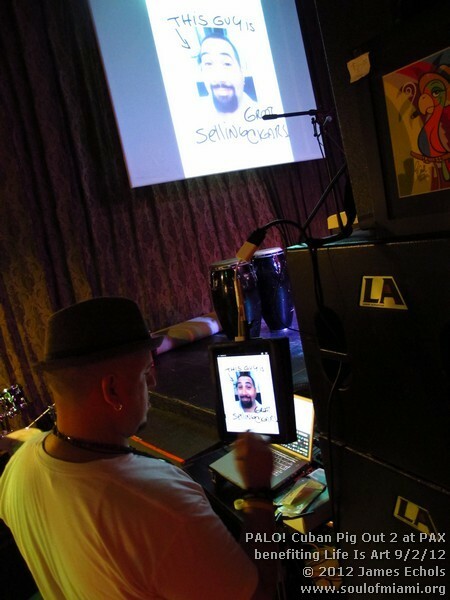 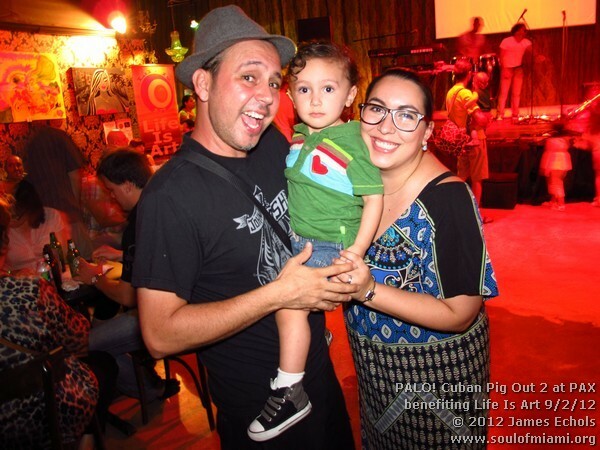 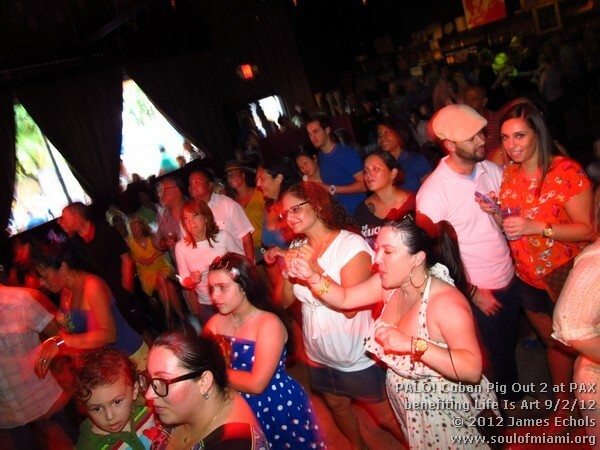 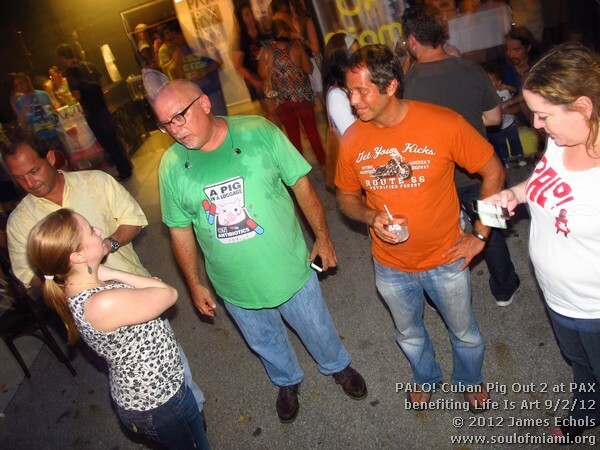 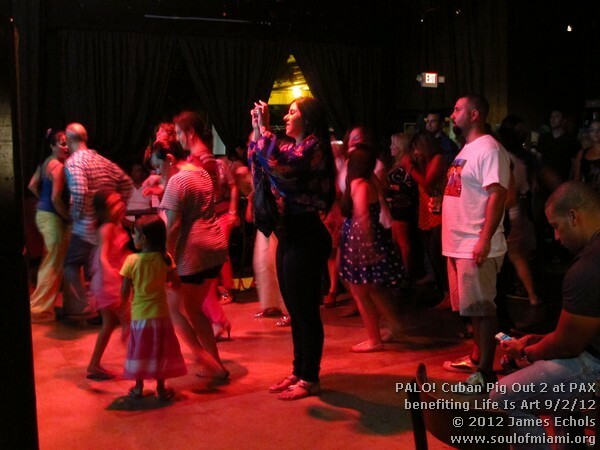 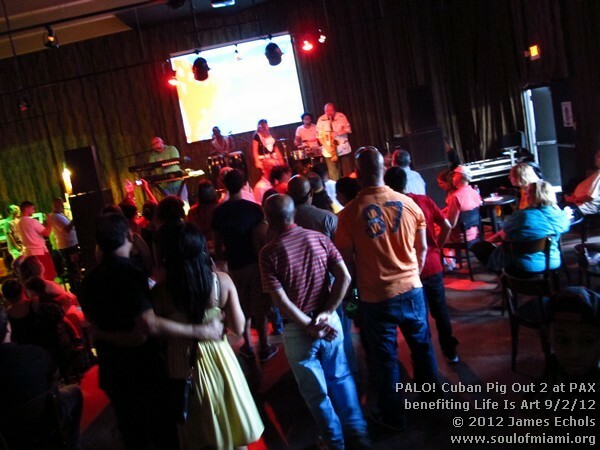 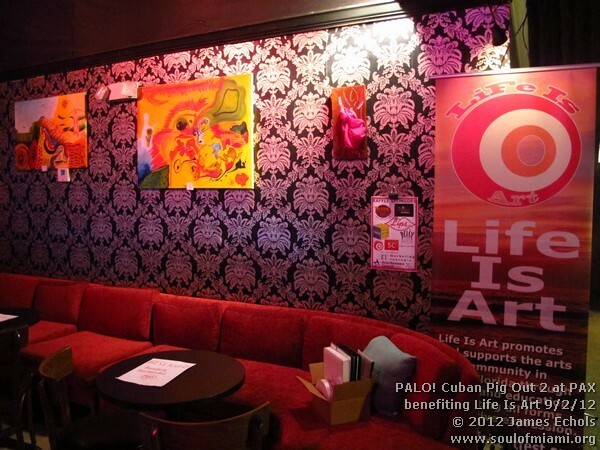 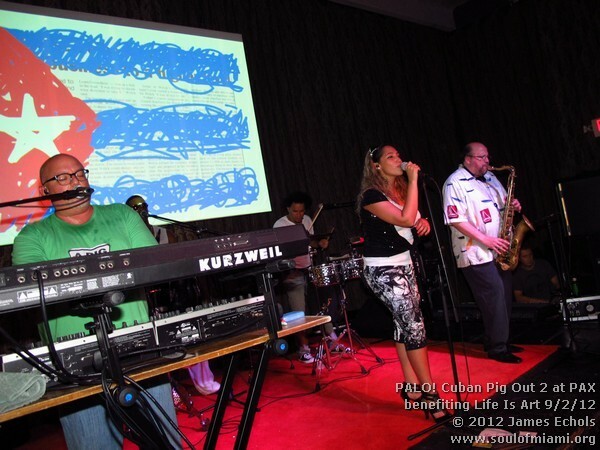 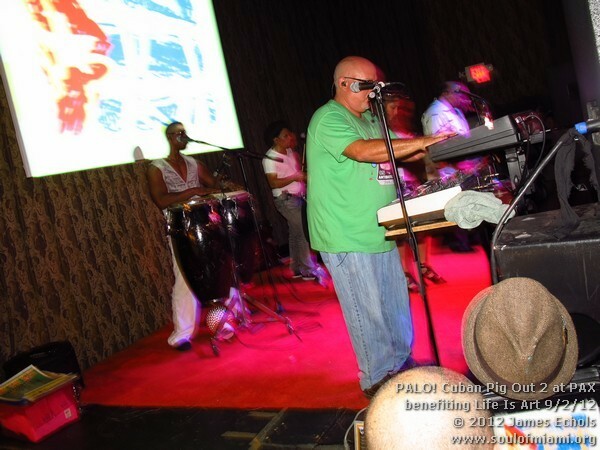 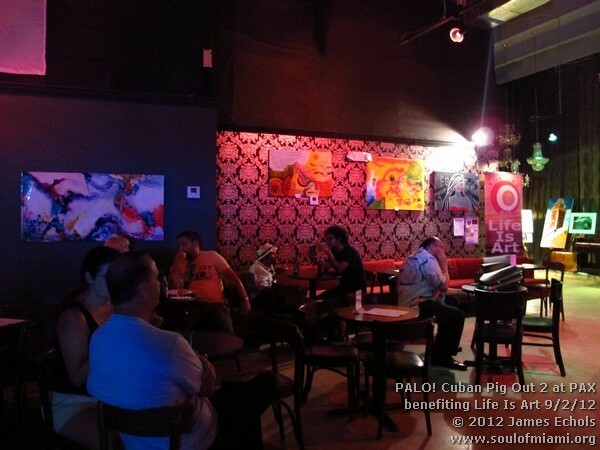 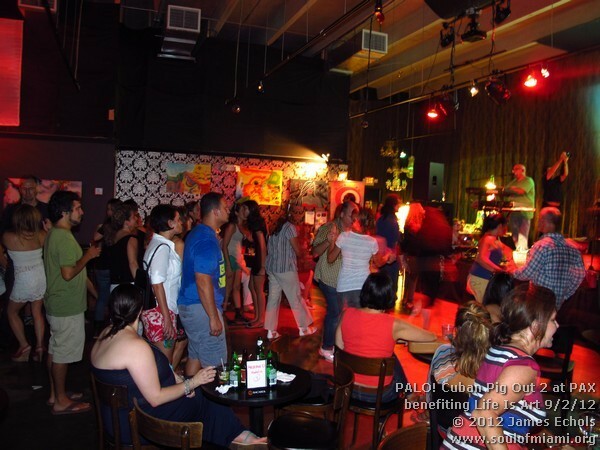 PALO!Â Cuban Pig Out 2 atÂ PAXÂ benefitingÂ Life Is ArtÂ on Saturday, September 2, 2012. 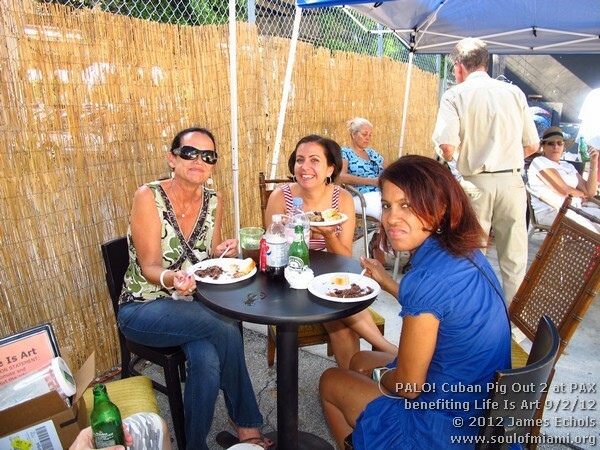 What a wonderful way to spend a Sunday afternoon with El Exquisito serveing up a traditional Cuban pork dinner, two awesome sets by PALO! 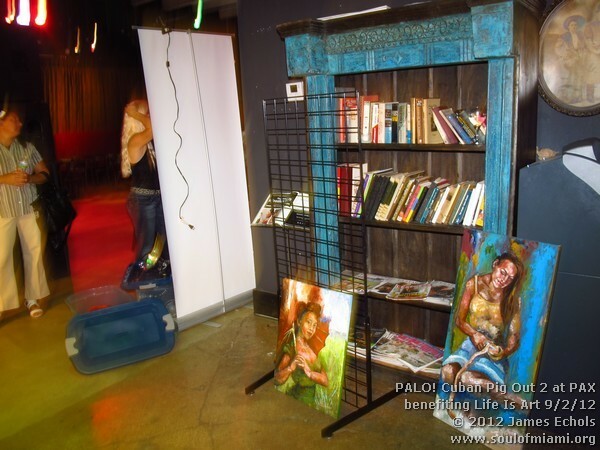 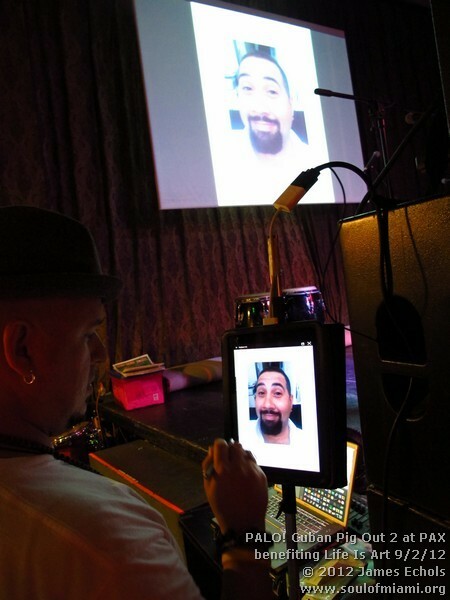 and some wonderful art byÂ Ralph Ventura,Â Anthony Burks,Â Gustavo Ramirez, Ricardo Colugnatti,Â George Fishman,Â Tatiana Enriquez, Nadine Anderson Cheng andÂ Live Painting by:Â Chris RiggsÂ & Emilio Carnero.